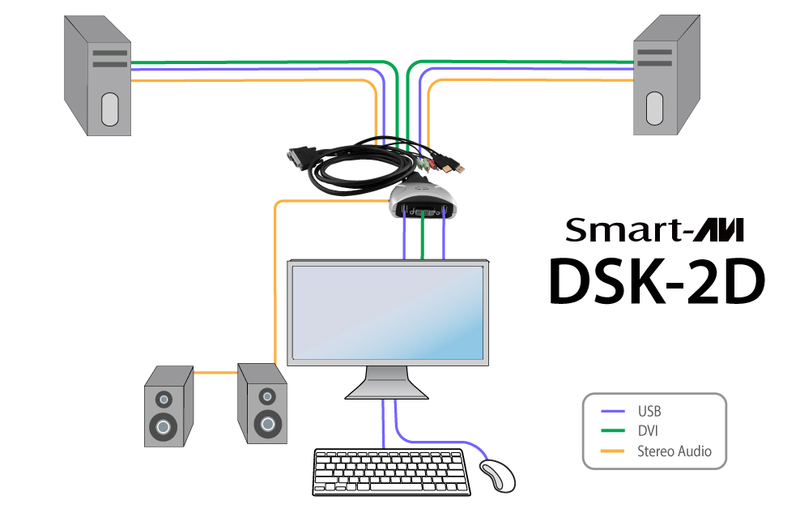 The DSK-2D is a 2-port KVM switch with DVI and stereo audio connectors. What is the DSK-2D used for? 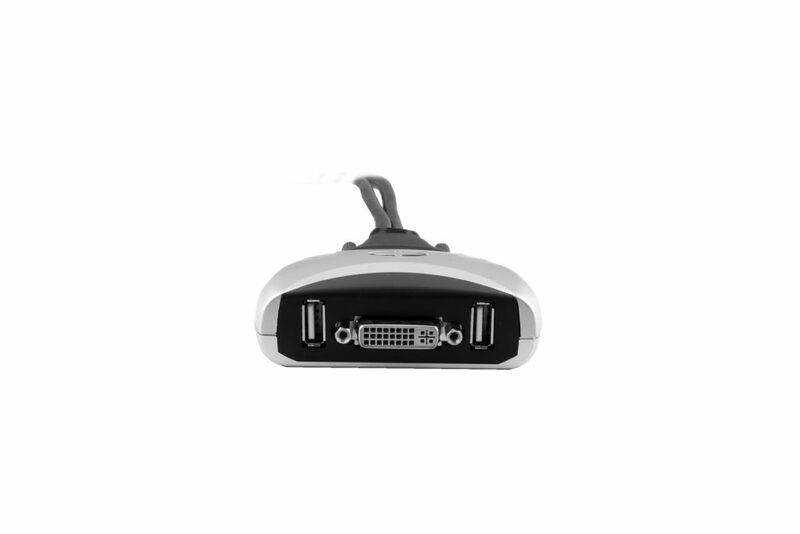 The DSK-2D is used to control up to two connected computers' keyboard-mouse functions with video from DVI displays. 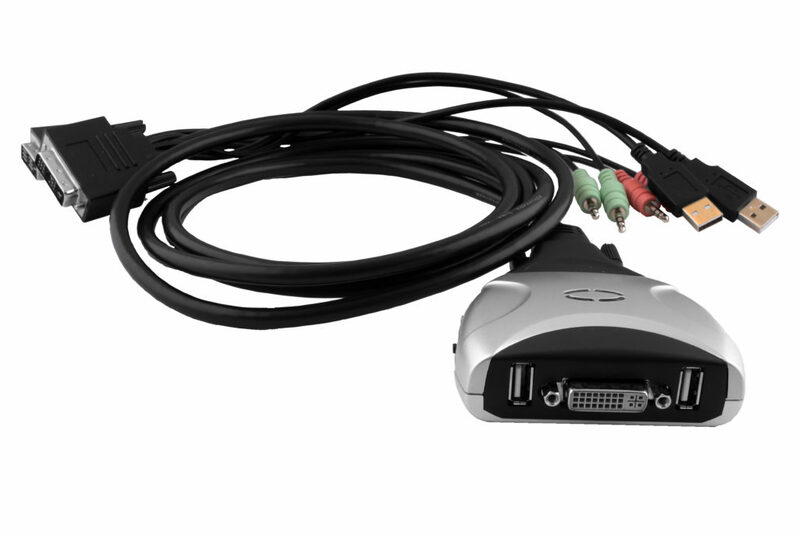 It's ultra-lite all-in-one design and highly-affordable pricing make it the perfect starter KVM unit. 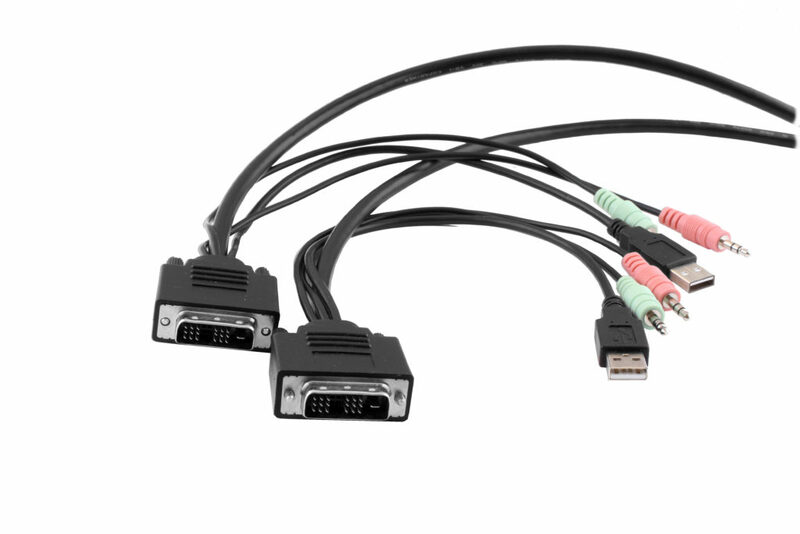 Connect Connect your DVI display and KM console: set up your command console and connect to the DSK-2D. Power up your systems and control them with ease: once connected PCs are activated, the DSK-2D shares their power and will automatically send signals to your command console. The DSK-2D excels in virtually any computer-friendly environment. 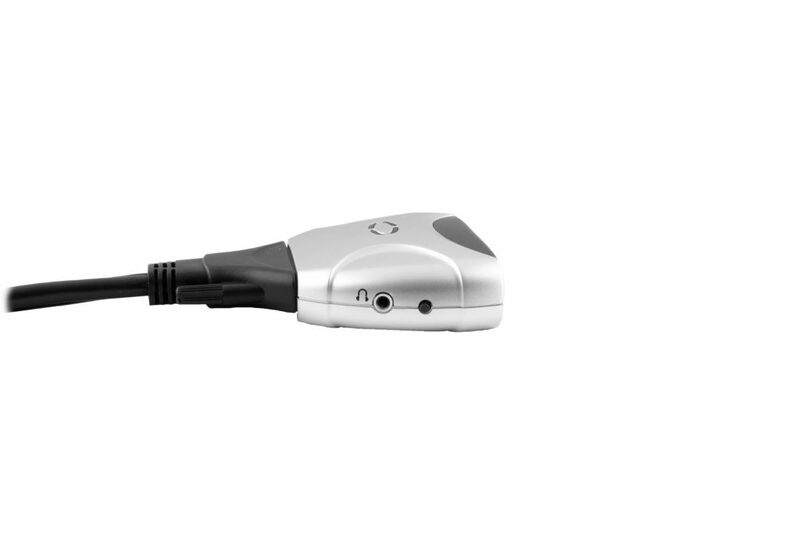 From office settings to homes, the DSK-2D is easily integrated into pre-existing set-ups, especially for maintenance or temporary workflow supervision. IT technicians and systems specialists will appreciate the DSK-2D's compact design and mobility, while others will enjoy its user-friendly functionality. Supports up to 1080p (1900x1200 @ 60Hz). 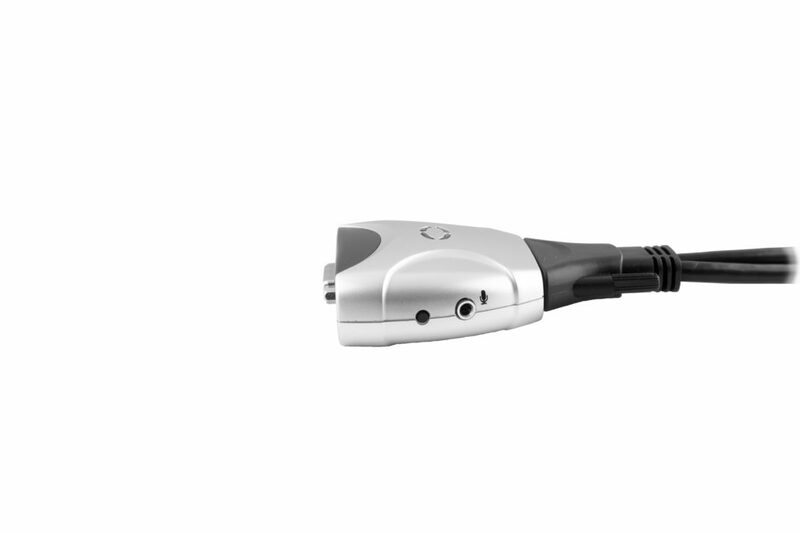 Supports stereo audio & microphones.